Moonlight dinner invariably has a romantic connotation. Nonetheless, there are different types of moonlight dinners that are memorable! We often spent our summer holidays in our grandparents’ place at Madurai. 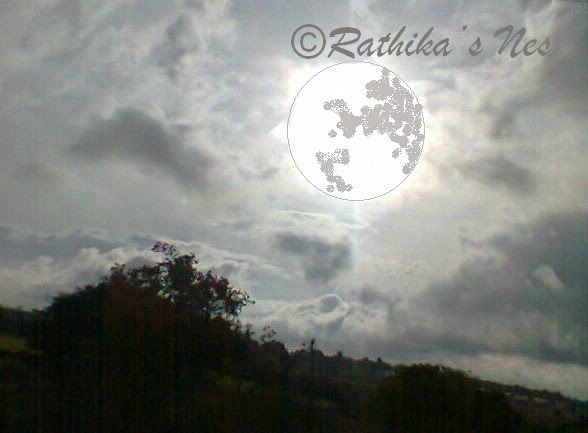 So, invariably we were there for ‘Chira powrnami’(சித்ரா பௌர்ணமி) – full moon in the first month of the Tamil calendar. Though Madurai town would be full of gaiety owing to Meenakshi temple festival, our dinner was always simple, yet very beautiful. 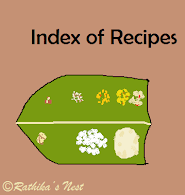 My grandmother would mix rice with dhal, ghee and rasam in a big vessel and sit in the open verandah (முற்றம்). The grand children, at least 6-8 at any given time, would sit around her in a semi circle. She would place a handful of rice (ஒரு கவளம்) in our little hands and top it with a piece of vegetable. As she served us each in turn narrating a story, we would empty our hands quickly and wait for the next helping eagerly. Drenched in the cool moonlight, sitting in the gentle breeze, we would listen to stories from Mahabaratha, Ramayana, Panchathantra and the lives of Tenali Raman or Mariyathai Raman. I found the whole experience surreal! Once the first course of rice got over, my grandmother would bring the second course of curd rice, which would be topped with a delicious mixture of ‘kerrai with kuzhambu’(கீரையும் குழம்பும்). We always ate well when our grandmother fed us this way. This was also the time we learnt about our culture and values. During my growing up years, less frequently we had ‘moonlight dinners’ (நிலாச்சோறு) on the terrace of our home. Generally we ate the daily fare made at home, but occasionally we had mixed rice preparations for these dinners. We would sit on the terrace floor in the pleasant moonlight and eat our dinner on plates, chit-chatting about one thing or the other. Though these dinners were charming, they lacked the magical quality of moonlight dinners at our grandparents’ place. Well, times have changed and moonlight dinner at metro is a different experience altogether. On and off, we have enjoyed the full moon on the Chennai beach, munching some take away food. We used to have ‘pizza dinners’ on the full moon day. After enjoying the pizza under moonlight on the terrace, my son would lie on the hammock, while we used to spend time chatting. Irrespective of our age, moonlight dinners are indeed special. What we eat for dinner does not really matter, but the 'quality time' we spend with our loved ones matters the most!